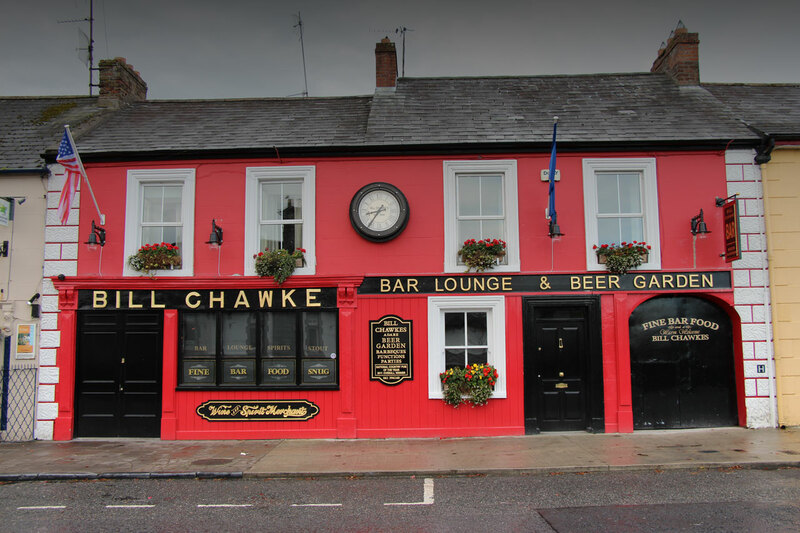 Established in 1846 Bill Chawke’s Bar, located in the heart of Adare Village, Co. Limerick is a fine traditional bar with a great reputation for providing some of the best hospitality around. Our recently refurbished bar is an excellent place to watch our local Adare GAA heroes and all the other major sporting events live on our 3D and LCD High Definition TVs. Our live weekly traditional music sessions are famous and bring a wealth of musicians and music lovers through our doors. Our kitchen serves delicious traditional fare every day and customers keep coming back to us for a bite to eat or simply relax with a pint or glass of their favourite tipple. Our delicious traditional Irish breakfast is served from 10.30am and we have a superb bar food menu which we serve until 9pm daily. We have a truly superior beer garden which is the envy of every pub in the county; we just wish we could ‘serve up’ good weather for our customers to relax in it on those soft Irish summer days and not need one of our waterproof parasols. Our beer garden also has state of the art BBQ facilities and is a favourite with locals and visitors who like to dine and entertain al fresco whatever the occasion. Our large bar has its own separate games room complete with pool table and dart board and has FREE wireless access to the Internet for those wishing to keep in touch online. Good quality service, delicious food and a friendly and welcoming atmosphere is what we are all about and we think we deliver, in spades! Our delicious food menu is served from 10am to 9pm Monday to Sunday! Adare in Irish is pronounced ‘Áth Dara’ which translates as “ford of oak”, as previously mentioned Adare is renowned as one of the prettiest villages in Ireland and it certainly lives up to this herald, the Irish Government even agree having given Adare the designation ‘Heritage Town’. Situated on the river Maigue, a tributary of the river Shannon, Adare is steeped in history dating back to the 12th Century. Adare originated as a settlement on the eastern side of the crossing point over the River Maigue some 16km from the Viking forged City of Limerick. 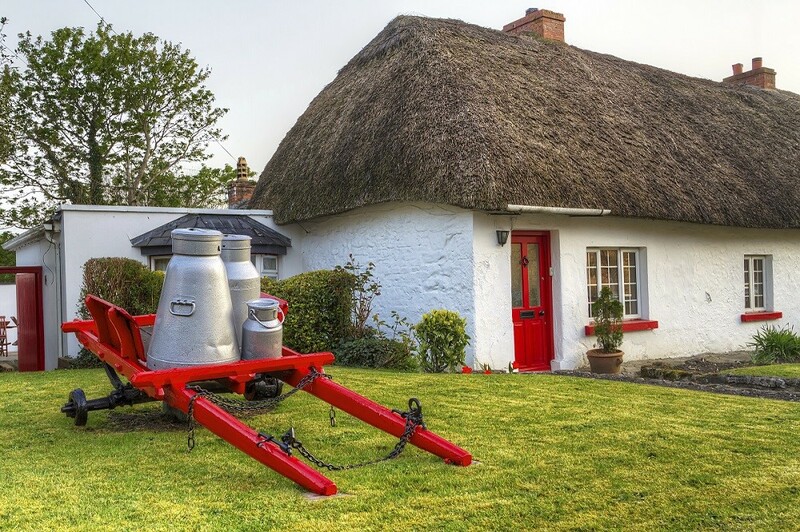 Historically a market town, in the Middle Ages, Adare was a major settlement with three monasteries and a castle.